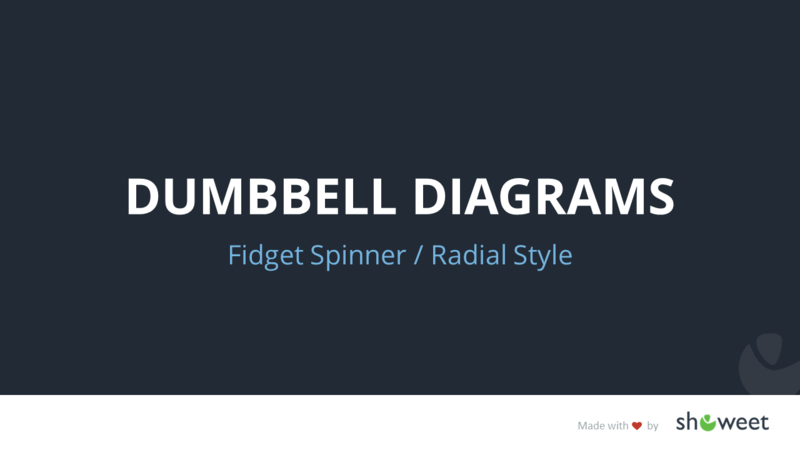 The dumbbell shapes are two circular node shapes connected by a center beam (concave rectangle). 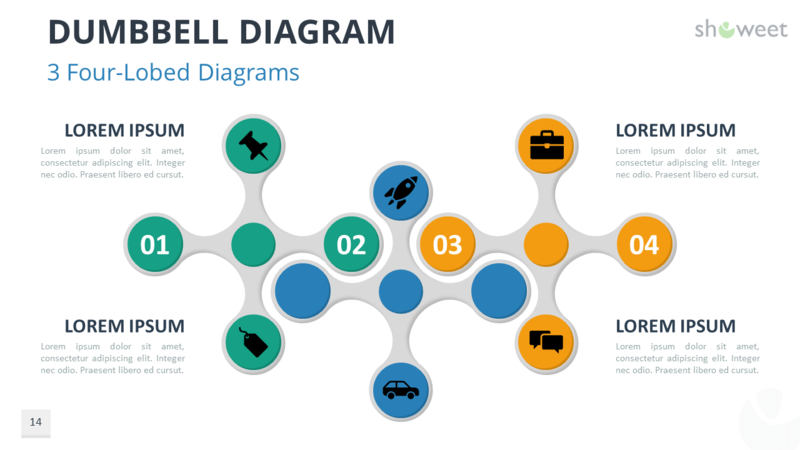 They are very similar to infinity symbols, or bike chain links (or connectors). 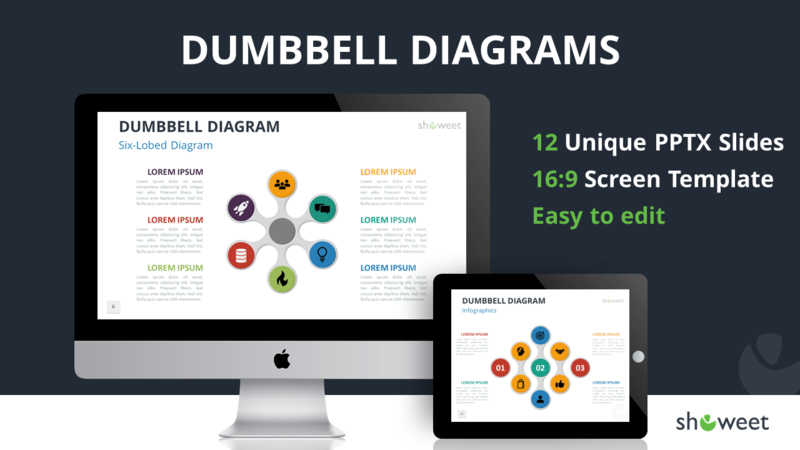 Each presentation document contains a complete selection of 12 custom-made dumbbell diagrams variants with completely editable creative shapes and text placeholders. 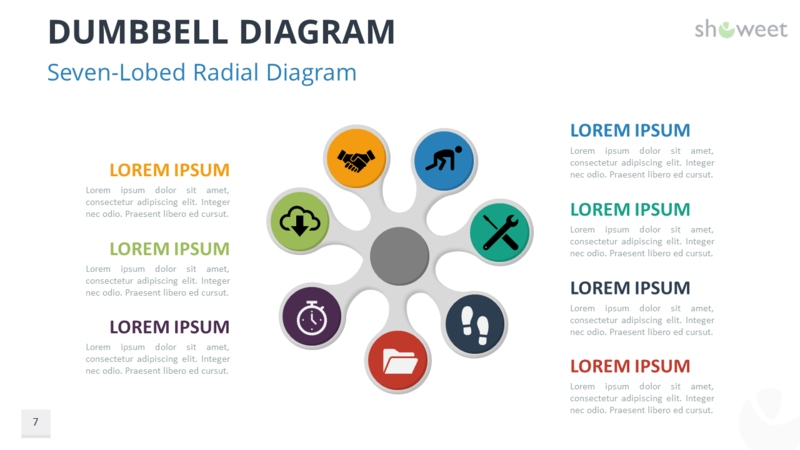 2 (optimized) size layouts are available for your convenience: standard (4:3 screen ratio) and widescreen (16:9). 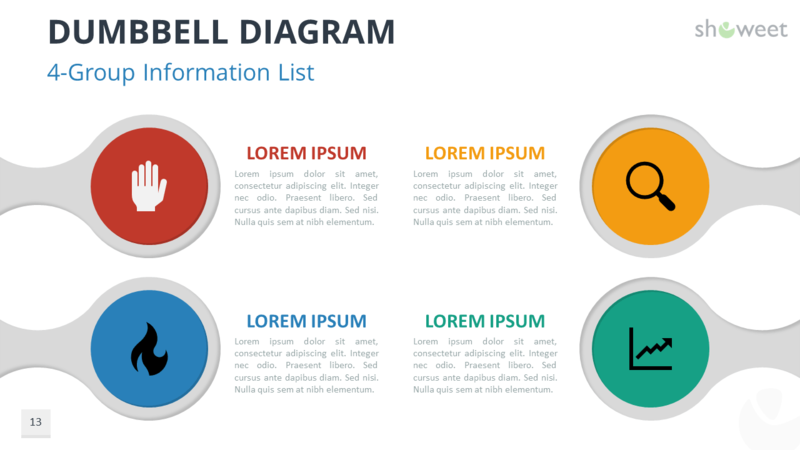 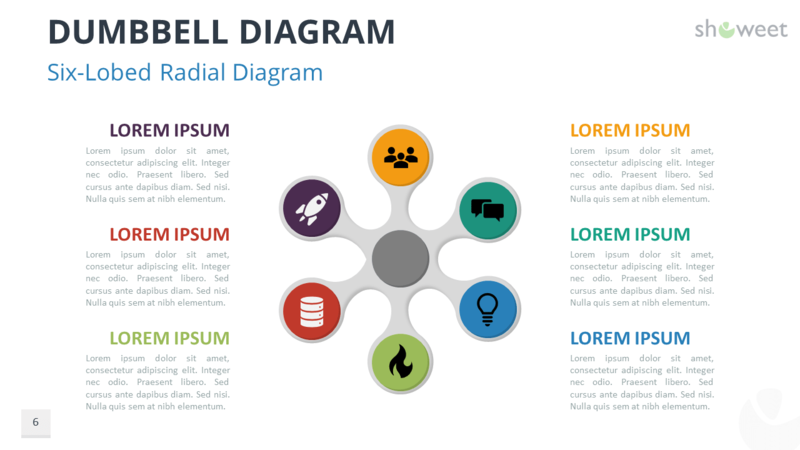 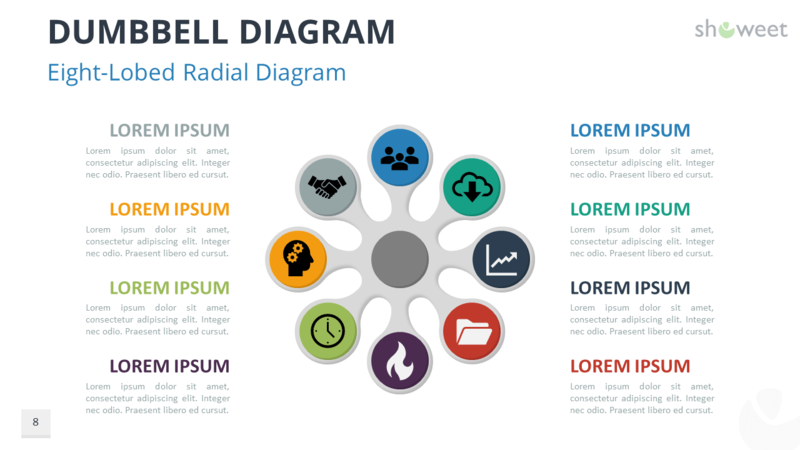 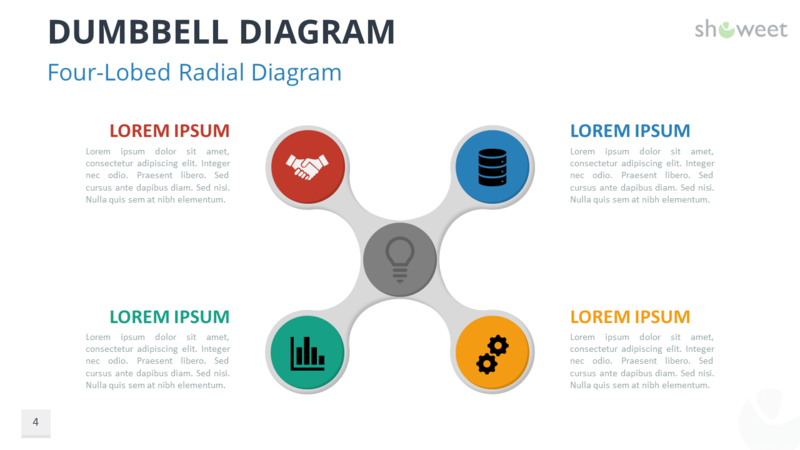 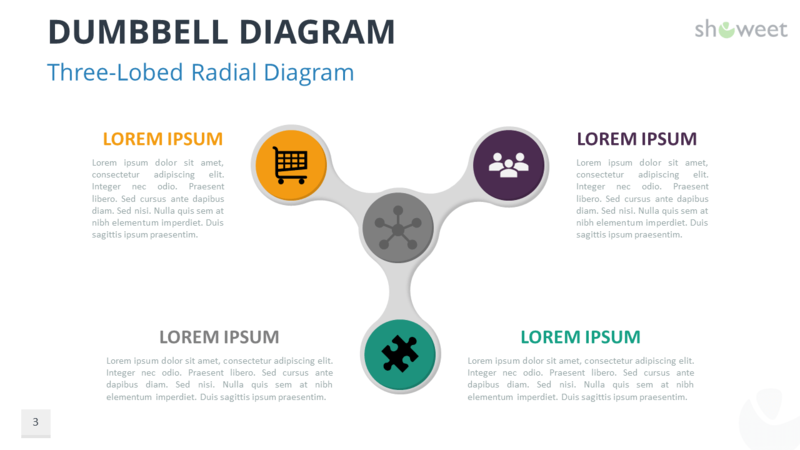 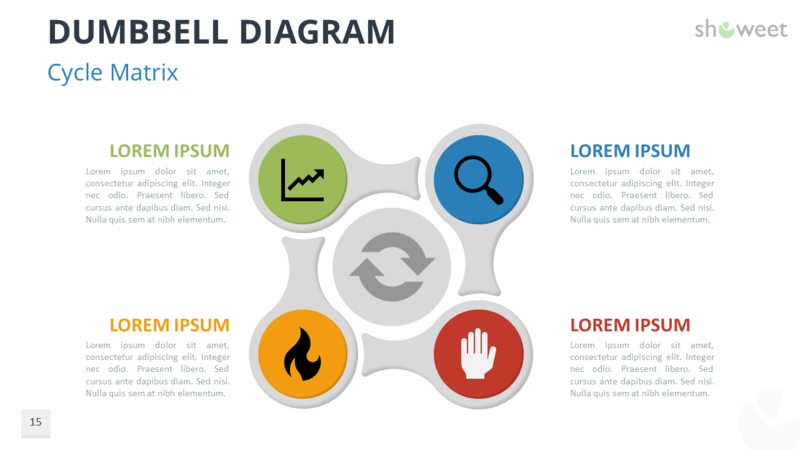 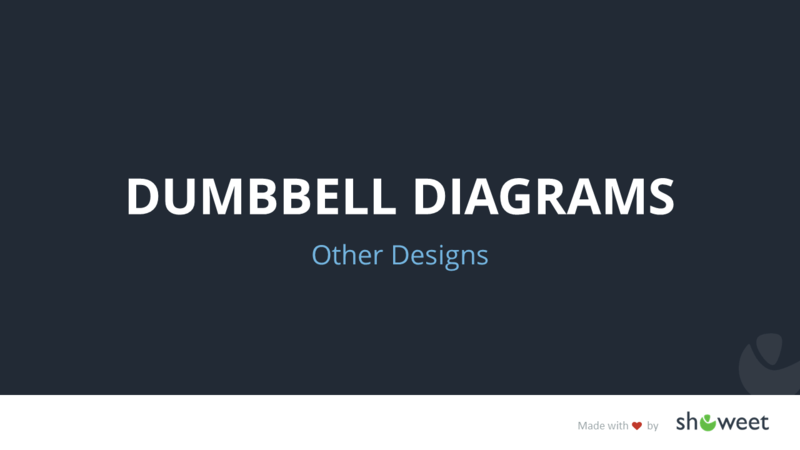 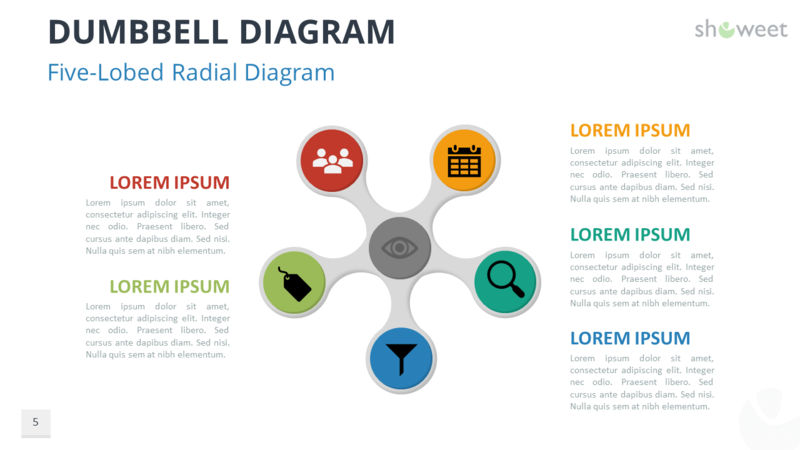 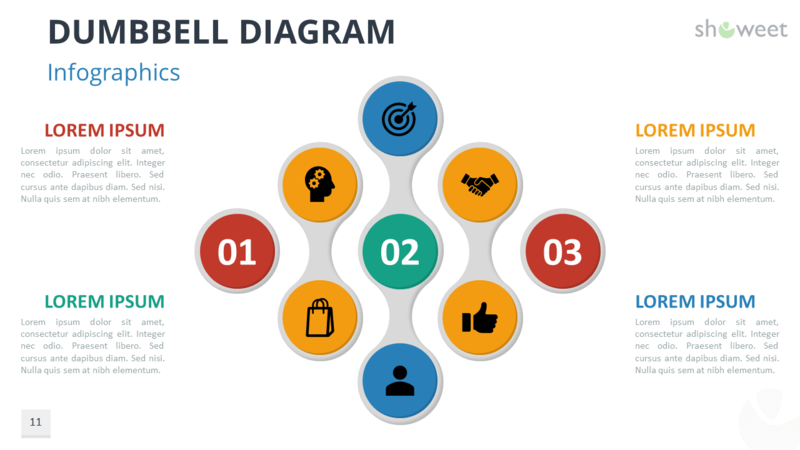 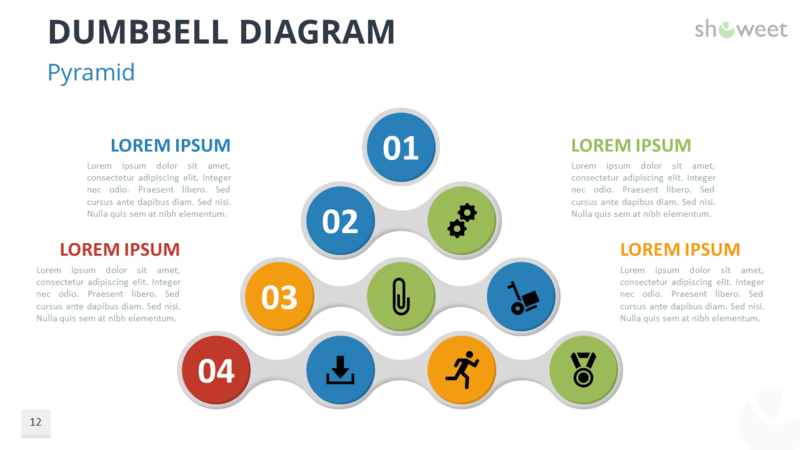 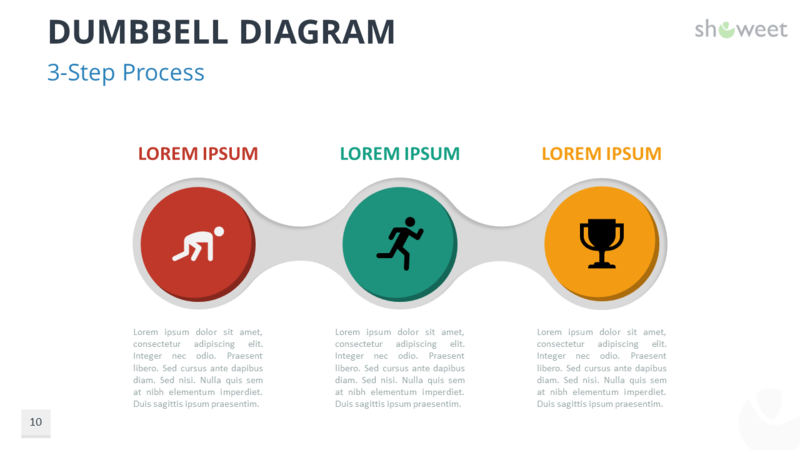 Download these ‘Dumbbell Diagrams for PowerPoint and Google Slides’ for free!